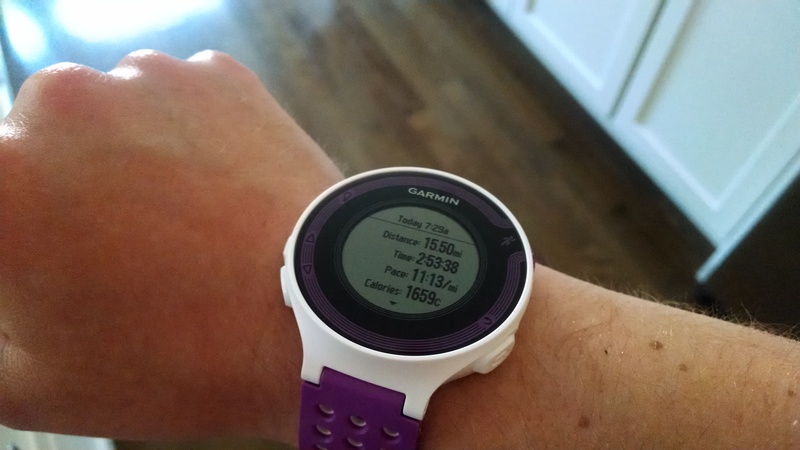 1) I got a new Garmin for my birthday! Isn’t she awesome? I named her Hermione. I’ve been reading Harry Potter out loud and so the name was in my head, but I also looked up the meaning of the name and found it’s the female version of Hermes who is the Greek god associated with speed. So, I think it’s a good name for a Garmin. It was VERY difficult for me to take a picture of my watch while on my wrist. Any one else have this problem? 3) “It’s Raining Tacos…” This is possibly one of the weirdest songs I’ve ever heard, but it’s so catchy! And, I LOVE tacos. I like mine soft shell with guacamole, beans, cheese, and frank’s redhot (in that order). 4) I had the best (non-traditional) grilled cheese ever last night. It went directly into my mouth without any photographing for the blog, but it didn’t really look particularly special anyways. It was the TASTE that was phenomenal: Cheddar & Brie w/ pear on Texas Toast. So good. (If you happen to be near Brookline, MA: http://www.hopsnscotchbar.com/). The grilled cheese, along w/ a drink or two w/ friends, and a late bed time probably contributed to how much I did not want to run this morning, but it was worth it. 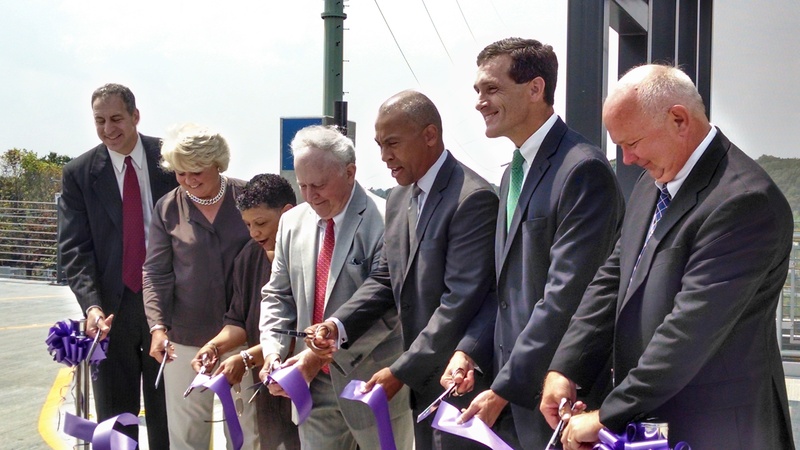 Yes, the GOVERNOR came to cut a ribbon for a garage. Slow Friday? Do you like tacos? What do you put on them? Did you know that GoveRnor has an R there? I didn’t. ← Party Time: 30 by 30! That grilled cheese sounds amazing… I’ve been meaning to go to Hops n Scotch since it opened but I don’t get down to Brookline too often. Now that I know they have this amazing sandwich I should make more of an effort! I dig tacos… I like them soft, with flour tortillas, and usually fill them with chicken, lettuce, tomatoes, cheese, and white sauce if it’s available. I also love fish tacos, Baja-style. That Raining Tacos video is hilarious! Oo, congrats on getting the Garmin! I’m working up to the splurge. I was going to try to wait until Christmas, but by then I won’t be running outside anyway, so it would be kind of crappy to have to wait until spring to use it. Also, I love tacos. Love. Especially on corn tortillas with fresh salsa. This is my second Garmin, and I LOVE it! I could have gotten by longer with the old one, but the battery is starting to drain pretty quickly (and sometimes inexplicably), so when I was asked if I’d be interested in a new one as a birthday gift, I was psyched! I’ve been seeing a lot of posts lately about running watchless, because you can become a slave to the pace, but that’s not for me. I like to pour over the data afterwards. Mmmm, data! I feel the same way!